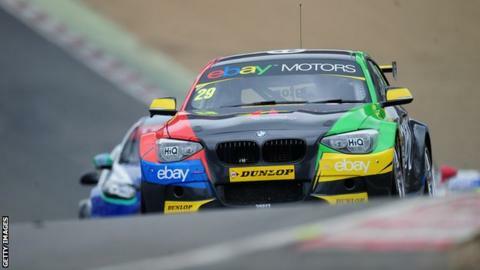 Colin Turkington increased his lead at the top of the British Touring Car Championship after winning two races at Rockingham on Sunday. The BMW driver from Portadown won the opening race on the English circuit ahead of Sam Tordoff and Jason Plato. Turkington triumphed again in race two with Plato second and Tordoff third while he had to settle for fourth in the third race, won by Rob Austin. The Northern Irishman is 55 points clear of second-placed Plato. Turkington started the day with a 23-point advantage over Gordon Sneddon, who is now 64 points behind in third.